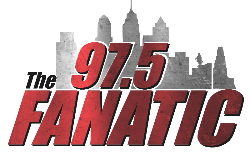 BE THE WINNER OF TICKETS TO A 76ERS GAME AND MORE! STOP BY OUR LOCATION IN FAIRMOUNT AT 1642 FAIRMOUNT AVE TO REGISTER TO WIN BEGINNING SATURDAY, OCTOBER 21 THROUGH FRIDAY, OCTOBER 27! AT OUR FAIRMOUNT FINANCIAL CENTER! Employees of Univest Corporation of Pennsylvania and its affiliates (“Univest”) and their immediate families are disqualified from entering. The contest is subject to all federal, state, and local laws and regulations, and is void where prohibited or restricted by law. The sponsor (“Sponsor”) of the contest is Univest Corporation of Pennsylvania, 14 North Main Street, Souderton, Pennsylvania 18964. Entries must be submitted at Univest’s Fairmount Financial Center located at 1642 Fairmount Avenue, Philadelphia, PA, in the “Official Entry Box” between 9:00 a.m. on October 21, 2017 and 6:00 p.m. on October 27, 2017. One winner for each Prize listed below will be selected at random from all eligible entries received prior to the time of the drawing, which is scheduled to take place at approximately 6:00 p.m. on October 27, 2017. This decision shall be final. The winner(s) must be 18 years or older and need not be present at the time of the drawing in order to win. Limit one Prize per person. No purchase necessary. All taxes (including, without limitation, U.S. federal, state and local taxes (including, but not limited to income and withholding taxes) and sales taxes) on or connected with the Prize, and the reporting consequences thereof, and any other expenses not specifically included in the Prize description are the sole and exclusive responsibility of each winner. By entering this contest and/or accepting the Prize, each participant and/or winner agrees, represents and warrants that: (a) such participant and/or winner has all rights, permissions and consents necessary to grant the rights to Sponsor as expressed herein; (b) each of such participant and winner releases, indemnifies and holds harmless Univest from any and all liability for claims, injuries, losses or damages of any kind, resulting, in whole or in part, directly or indirectly, from the awarding, delivery, acceptance, use, misuse, possession, loss or misdirection of any Prize; (c) the acceptance of a Prize constitutes the grant to Sponsor and Sponsor’s affiliates of an unconditional right to use winner's name, address, likeness, photograph, biographical and Prize information and/or statements about the contest for any publicity, advertising, promotional and other purposes throughout the universe in any and all media now known or hereafter devised, in perpetuity, without compensation, except where prohibited by law, and winner hereby releases Univest from any claims or liability arising out of or with respect to such use; (d) Sponsor has the right, in its sole discretion, to modify these rules or to cancel, modify, terminate or suspend the contest; multiplied or otherwise increased; (e) Sponsor has the right to modify Prize award procedures at its sole discretion; and (f) the Prize is awarded “AS IS” and WITHOUT WARRANTY OR CONDITION OF ANY KIND, express or implied (including, without limitation, any implied warranty or condition of merchantability or fitness for a particular purpose). By submitting this form, you give Univest permission to contact you from time to time about its products, services, and promotions. For the names of the winners or a copy of these rules (before November 30, 2017), please contact Univest’s Fairmount Financial Center at 267.639.9076.